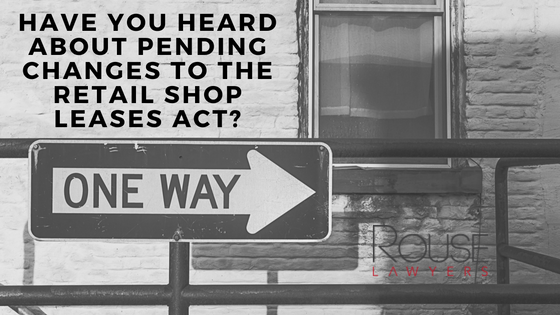 Have You Heard About Pending Changes To The Retail Shop Leases Act? How Will Pending Changes To The Retail Shop Leases Act Affect Your Business? In November 2016 some important changes to the Retail Shop Leases Act 1994 (Qld) (the Act) will take effect, impacting on both tenants and landlords. When is a retail lease legally entered into? According to commercial law in Australia, a retail lease is legally considered ‘entered into’ on the earlier of two important dates: the date the lease becomes binding on the parties, or when the tenant takes possession of the premises. 3. when the tenant first pays rent (other than a deposit to secure the premises). In order to be covered by the Act, a lease must be for a retail shop situated in a retail shopping centre or used predominantly for carrying on a retail business. There are further detailed conditions which apply to meeting these criteria. At the end of each period for which a tenant pays outgoings, a landlord must provide an audited statement that details the outgoings. These statements must now provide a breakdown of centre management costs. Outgoings will also now exclude excess paid by landlords on insurance claims. If a tenant is required to contribute towards a promotion fund, then the landlord must now provide a marketing plan at least 1 month before the start of each accounting period, unless the tenant waives this requirement. The Act prevents landlords from requiring tenants to pay the costs of the landlord preparing a lease. This does not extend to registration fees, which tenants can be required to pay. The changes to the Act will now prevent landlords from requiring tenants to pay the costs of the landlord obtaining consent from their mortgagee to a lease. The changes will also allow the landlord to recover their reasonable costs (including legal costs) from the tenant for preparing the lease if the tenant agrees for the lease to be prepared, but then pulls out from the transaction. When a landlord receives a notice from a tenant exercising an option to renew the lease, the landlord must now give the tenant a disclosure statement within 7 days. The tenant will also have the right to withdraw the exercise of its option within 14 days of receiving the landlord’s disclosure statement. If rent is to be reviewed to market rent upon exercising an option to renew, the Act now gives the tenant 21 days from when they receive a notice from the landlord with the current market rent to then exercise their option. If a clause in a lease requiring a tenant to refurbish is to be enforceable, then it must provide details about the nature, extent and timing of the refurbishment. This means that a general obligation to refurbish when required by the landlord will be unlikely to be enforceable. If the premises are located in a retail shopping centre, then if the lease contains a provision allowing the landlord to relocate the tenant’s premises, the landlord will now be restricted to relocating to a premises within the centre. 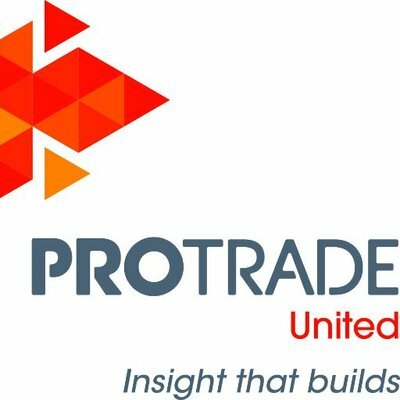 For leases where the tenant is a franchisor who intends to grant a licence to occupy the premises to a franchisee, then the tenant/franchisor can request an updated disclosure statement from the landlord. The landlord must respond within 28 days. The tenant/franchisor will need to pay the landlord’s reasonable costs of preparing the disclosure statement. The Act currently requires assignors and assignees to provide each other with disclosure statements at least 7 days before a new lease is entered into (i.e. 7 days before the assignment takes effect). The changes will now require the assignor to provide their statement at least 7 days before the earlier of entering into a contract for the sale of the business or from when the landlord is asked to consent to the assignment. The assignor must provide a copy of their statement to the landlord at the time they request consent to the assignment. This means disclosure statements will need to be prepared at much earlier stages of a business sale transaction. The changes will also allow assignors and assignees to waive their 7 day disclosure period rights. The ability to provide waiver notices will be a welcome change for parties eager to settle on a particular date, but would have been otherwise restricted by the disclosure periods. Under the current terms of the Act, once a tenant assigns a lease to a new tenant (for example, upon selling their business), the existing tenant will be released from their obligations under the lease, provided the existing and new tenant provide all of the disclosure statements and advice reports required. This protection does not currently extend to guarantors. Once the changes to the Act take effect however, personal guarantors will be released of their obligations upon an assignment of lease. Accordingly, upon an assignment, the landlord will not have any recourse against either the previous tenant or the previous guarantors. This is only a brief summary of some of the changes that will be introduced with the forthcoming revision of the Retail Shop Leases Act 1994 (Qld). Some changes may only apply to leases entered into on or after the date the changes to the Act take effect, whilst other changes may apply to existing leases. The commercial law experts at Rouse Lawyers can provide more information on these transitional arrangements, and all aspects of law involving shop leases, once the details have been released. Need further information about retail shop leases or other aspects of commercial law in Australia? Contact the experts at Rouse Lawyers today.